Written an article, op-ed, blogpost, etc. Our organizing framework strongly believes in shifting power to marginalized and directly-impacted communities. We would like to ensure that the students who attend the organizing workshop also include representation from these communities. We ask the following questions for that reason, but nevertheless leave them optional. The following questions and your answers will not be considered as part of your application, but will help us in planning the workshop. If you are traveling from a school outside of the Boston area, do you need support in securing transportation to the workshop? If you are traveling from a school outside the Boston area, can you offer others transportation? Thank you for your application! 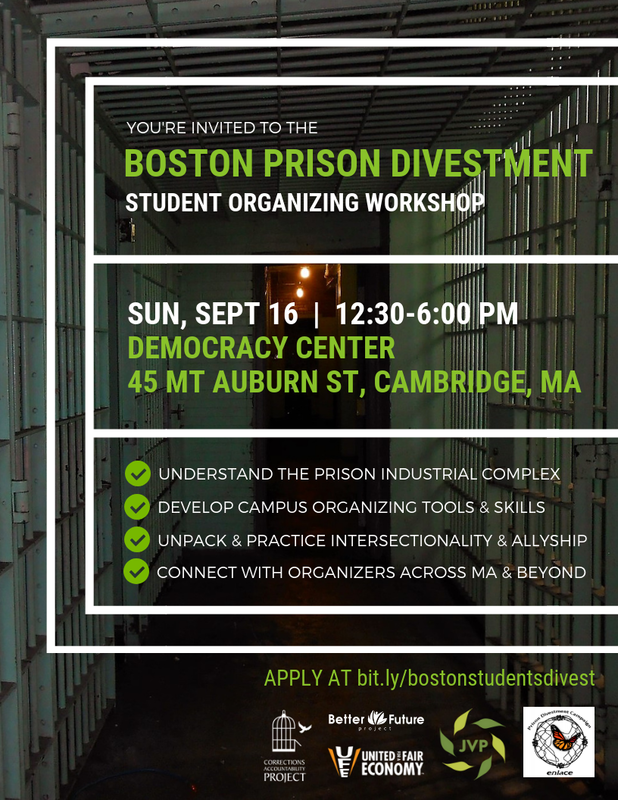 We will let you know if we’ve been able to secure you a place in the Divest Boston Student Organizing Workshop within a couple days. We appreciate your patience and look forward to working together in organizing to divest Boston!